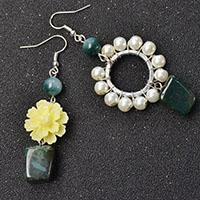 Handmade beads earrings are always easy for both professionals and green hands to make. 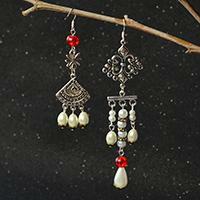 Today's project is a pair of pearl beaded dangle earrings which is suitable for warm Spring. Wanna try? Now follow me to see the details together! 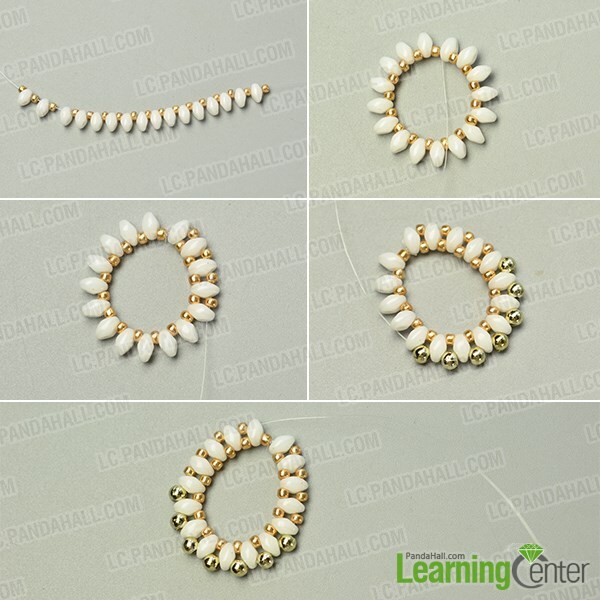 5th, continue to add 7 golden spacer beads among the white seed beads, then add 4 golden seed beads among white seed beads as pictured. 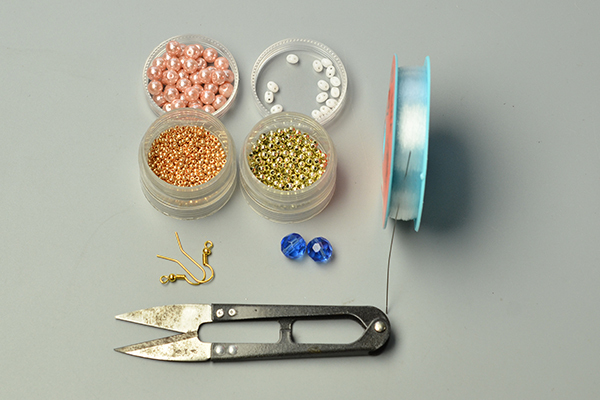 3rd, add a pink pearl bead to the wire and cross it through adjacent seed beads. 3rd, repeat above processes to make other 3 bead loops, then add a blue round faceted glass bead to the wire and cross it through corresponding beads as pictured. 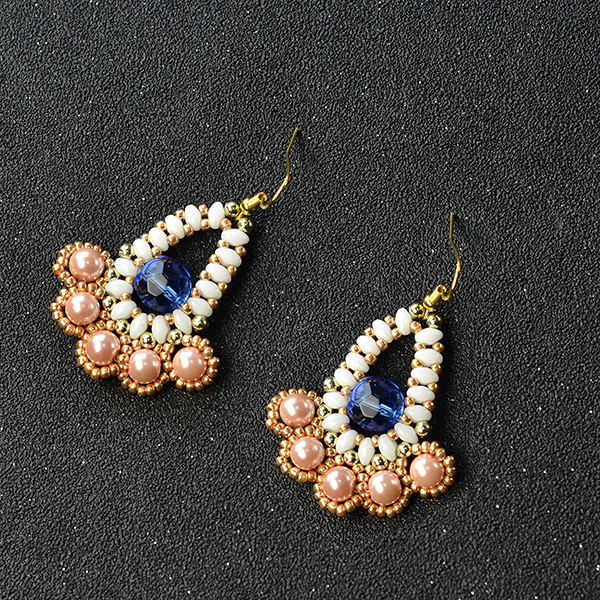 Here is the final look of the beaded dangle earrings. This project is inspired from : http://lc.pandahall.com/craft-ideas/12710.html.